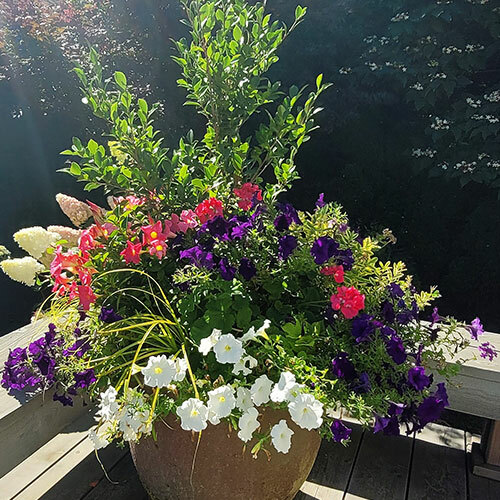 Our container gardening services in Seattle assure aesthetics and knowledge come together to create lovely container gardens. 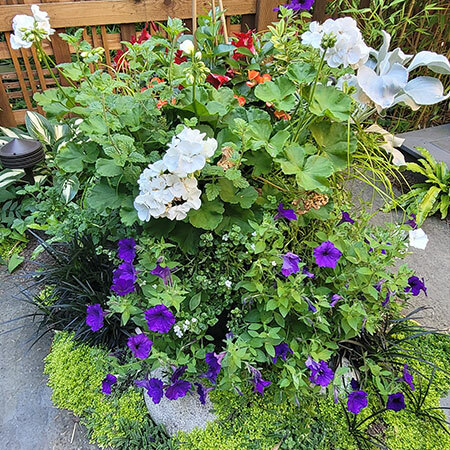 Container gardens are a vital part of modern landscape design. They are valuable additions to gardens, patios, decks, and entryways. 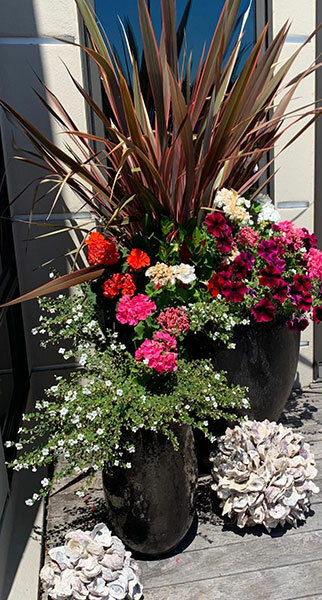 A custom container garden planting can add the right touch of sophistication and allure to your space. 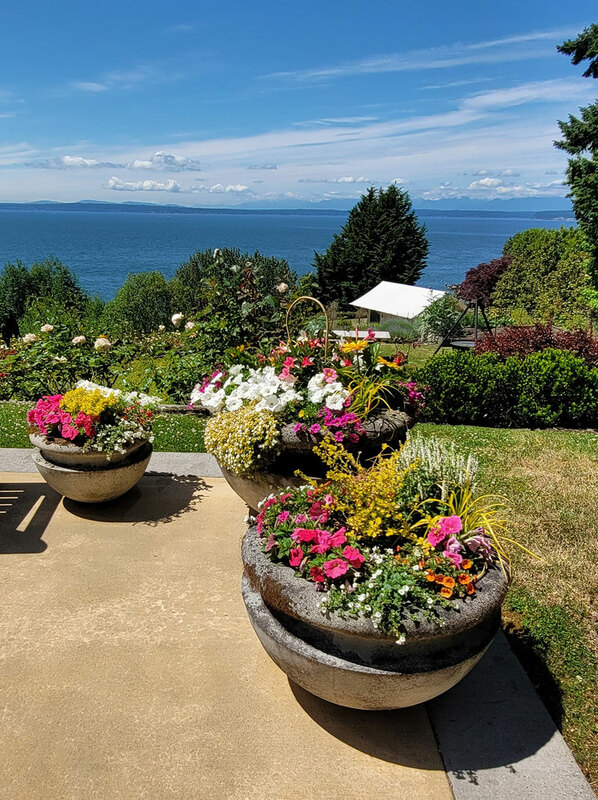 Seasonal Color Pots LLC, an award-winning Seattle landscaping company, offers exterior and interior container garden design. 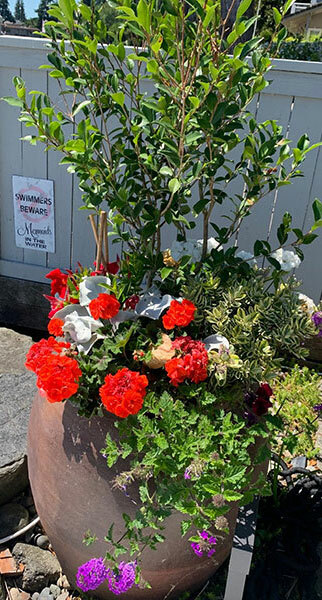 Owner and designer Toni Cross blends various plants and containers that reflect your taste and thrive in your location to create the perfect container garden for you. 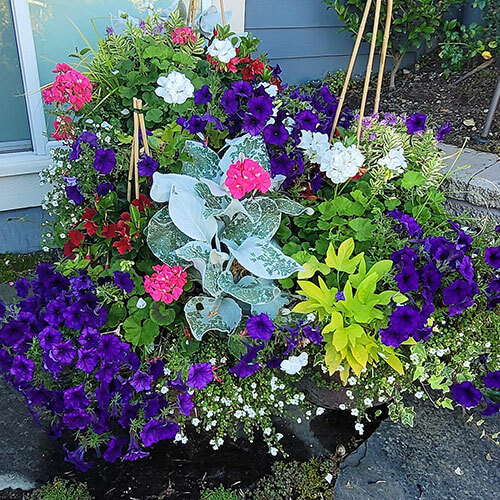 Container garden plantings bring life and movement into your home. They become an expression of your style and create an inviting atmosphere to both indoor and outdoor living areas. The joy of working with containers is their ability to fit into whatever space you have. They can give a perfect splash of texture and contrast to a small condo or they can be the eye-catching focal point of a large, open garden. They can make an outdoor living area feel more enclosed or they can bring a burst of color to a bland space or flat surface. Working with Seasonal Color Pots LLC enables you to have your dream garden space while ensuring the job is done right. 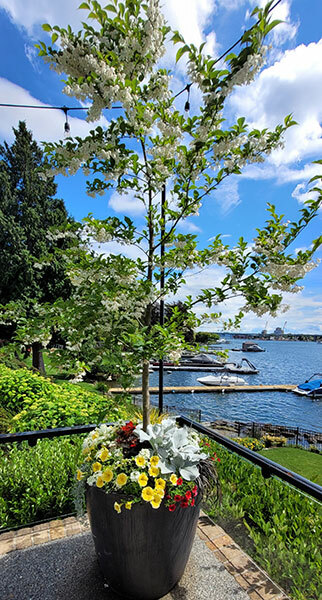 Upon thorough analysis of environmental conditions such as daily and seasonal sun-exposure, surrounding architecture and landscape, and of course, your personal style, an appropriate container garden design is created. After choosing from a wide range of options for containers and combinations of plants that flourish in the given area, work can begin. A lovely garden can be created from a single container with various plants working together to create an eye-catching piece. Alternatively, groupings of pots of different sizes and colors can form a delightful space. This, of course, depends on each individual area. Considering all the elements of design, color and space options, each arrangement is strategically installed. 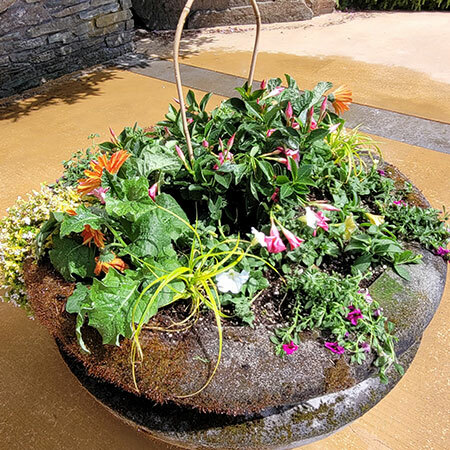 With extensive landscape and design experience, Seasonal Color Pots LLC offers various services. Each service is carefully thought out to result in an artistic expression of your personal style. 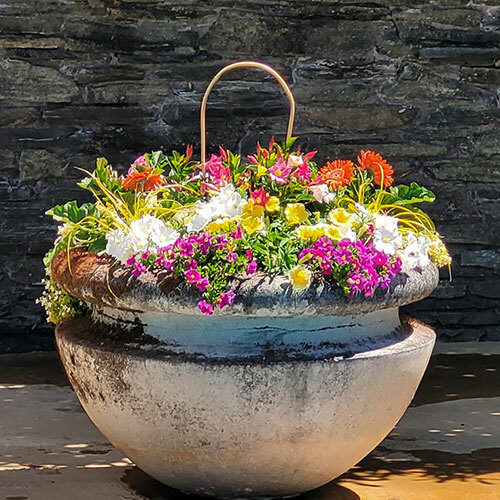 A truly beautiful container garden starts with experience and knowledge and finishes with the perfect arrangement of structure, movement and color. Whether the planting is limited to a small indoor space, a deck pot or even a large yard, understanding of horticulture is crucial in designing the correct combination of plants, those that work together in each unique environment and climate. Expertise in landscape design is essential for personalizing the right composition for you. Your containers are an investment in your home and landscape. They are an extension of your style and are what create the atmosphere you live in. That is why they deserve the attention to detail that Toni Cross offers. 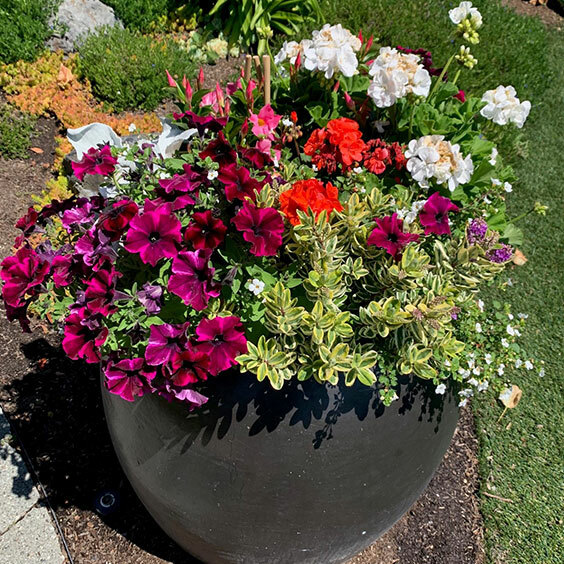 With an extensive background in designing container plantings a professional design by Seasonal Color Pots LLC ensures that the outcome will be stunning. “We have worked with Toni for at least 15 years. She managed our gardens and pots at our home before moving to a condominium. All of her recommendations were superb and all house guests were consistently complimentary of her work. This past year, she created a terrace garden with a broad range of flowers and shrubs. She also helped make perfect suggestions for the pots and planters and layout. We have been surprised and thrilled with each season as her creations unfold. 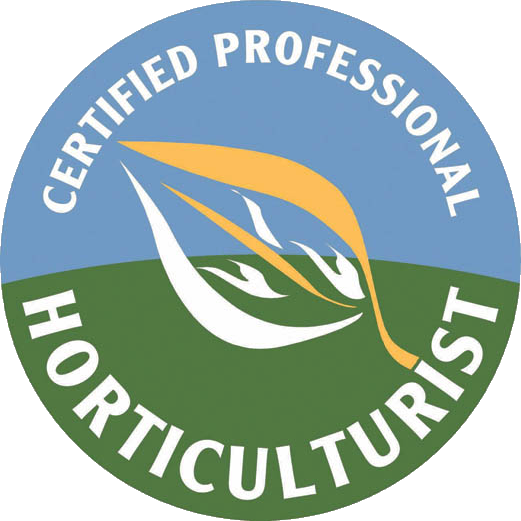 As long as she is working and as long as we have have creative gardening needs, we will look forward to her managing our natural canvas.” Read more Houzz reviews here.